When - to the astonishment of many in the Second International, including Lenin - Karl Kautsky refused to denounce the German Socialists in the Reichstag who voted war credits to the kaiser on that fateful day of August 4 1914, there were some members of the German Social Democratic Party (SPD) for whom their leading theoretician’s betrayal of the Second International’s anti-war pledges did not come as a bolt from the blue. Four years earlier, in 1910, Kautsky found himself on the horns of a dilemma. The kaiser’s government had banned an SPD demonstration for a more democratic Prussian electoral system, scheduled to take place in the Treptow district on the southern edge of Berlin. But instead of assembling there and confronting the police, the party secretly directed its members to gather in the centre of the city, in the Tiergarten, near the Reichstag. The 150,000 workers who answered the call threw the ruling class into a state of virtual panic. Rosa Luxemburg and her followers on the SPD left saw this demonstration, combined with growing worker discontent over falling wages, as an opportunity to build a more powerful revolutionary movement, possibly by expanding the protest into a mass strike. The party’s reformist right wing, on the other hand, took fright, along with the bourgeoisie. They fretted that such anger in the streets might endanger the support of bourgeois parties for the passage of a tepid suffrage-broadening bill and hurt their chances in an upcoming Reichstag election by scaring off more moderate provincial voters. Kautsky, while still attempting to steer a middle course between left and right, came down substantially on the side of the parliamentarians. He emphasised the primary importance of elections, branded advocacy of a mass strike adventurist, and refused to allow Luxemburg’s dissenting views to be published in Die Neue Zeit, the party monthly he edited. From this time forward, Kautsky was inclined to regard Luxemburg and her revolutionary cohort, as opposed to Eduard Bernstein and the reformist right, as his main adversary within the SPD. The question posed by this dispute was not the worthiness of the fight for electoral reform. Both Kautsky and Luxemburg supported this elementary democratic demand. The argument was over whether the struggle for reform should be conducted by revolutionary methods - ie, principally by extra-parliamentary mobilisations, possibly broadening into a struggle for power - or by reformist means: hoping the ruling class and their political parties could be persuaded to grant greater democracy by assuring them that such a reform did not pose a revolutionary danger. Only a year earlier, Kautsky had taken up the cudgels against the SPD’s leading right ‘revisionist’, Eduard Bernstein, in The road to power,regarded as his most revolutionary work. In itKautsky refutes Bernstein’s argument that the goals of revolution and proletarian dictatorship had been rendered obsolete by parliamentary democracy and the steady progress of reform. He reaffirms the conquest of political power by the proletariat to the exclusion of all other classes, and the complete abolition of private property in the means of production, as the party’s historic mission. Kautsky, however, is inclined to relegate the accomplishment of this mission to a far-off day. Only after the achievement of a series of democratic reforms - the SPD’s minimum programme - would the question of the conquest of political power and the socialisation of the means of production - the maximum programme - present itself. By fighting for democratic reforms, writes Kautsky, workers increase their combativity and political consciousness. He thinks that a revolutionary conjuncture is most likely to occur as a result of the bourgeoisie’s panicked and violent reaction against the steady accretion of working class trade union and electoral strength, which would force the proletariat to respond in kind. It may be fairly said, in light of historical experience, that Kautsky gives far too little weight to the possibility that the line of working class advance could be more jagged and contradictory than his tidy, incremental prognosis anticipates. The working class can suffer major defeats. And, while it is true that the fight for reform can be a prelude to revolution, and hence completely compatible with the ultimate goal, the imperatives of reform and revolution can also collide. What if liberal allies demand disavowal of revolutionary means in return for their support for reform measures? And what if, as in the crisis described above, events occur out of sequence, and the masses (not having read Kautsky) begin to take potentially revolutionary steps before the reform agenda has been completed? Will not many of their leaders, having become accustomed to the pacific routines of election cycles and collective bargaining during a prolonged reformist period, regard such mass initiatives as unwelcome disruptions of their expectations of orderly progress, and hence denounce them as ‘anarchy’? Kautsky was one such leader. Facing the unanticipated dilemma of 1910, he chose parliamentarism over mass protest, arguably taking the first step on the road to the infamy of August 1914. We live today under circumstances vastly different from those of workers and socialists in the Kaiserreich Germany of over a century ago. An improvement in material conditions has been accompanied by a severe contraction of the realm of possibility. There is no militant mass workers’ movement in any western country, and today’s question is whether or not any significant progressive reforms are even attainable, let alone whether the power of capital can be broken. With industrial and trade union struggles at an historic low, people are expressing their anger over declining living standards and social marginalisation in what they see as the only place left to them: the electoral arena. Although more of that anger is finding an outlet in support for fascistic, rightwing politicians than for the thoroughly reformist left that stands at the opposite pole, that pole is growing too. The fact that the horizons of its principal figures - Corbyn, Mélenchon, Sanders - are limited to hustings and parliamentary benches should not lead those of us on the left of the left - who dismiss as unrealistic the main reformist goal of restoring the post-World War II welfare state - from appreciating the significance of this voter rebellion, interrogating its possibilities, and attempting to steer it to the left. And it is in the course of such an interrogation that the old questions of reform or revolution inevitably resurface, albeit in less urgent ways. 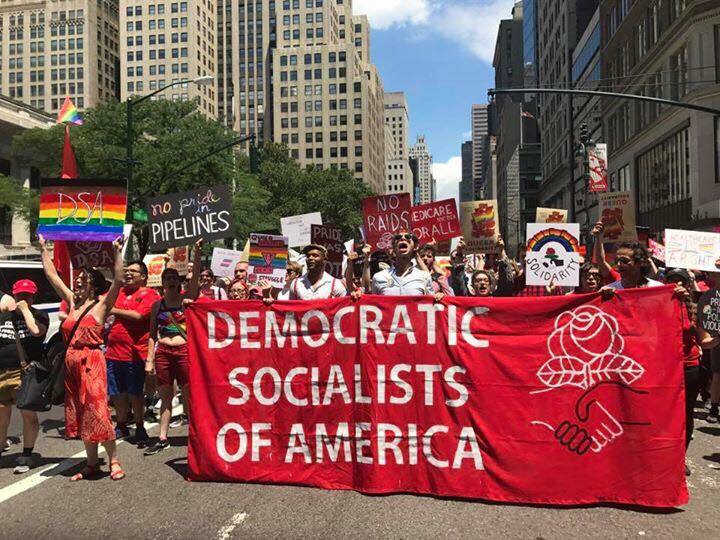 In the US, the principal left beneficiary of the 2016 presidential campaign of Bernie Sanders is Democratic Socialists of America (DSA), whose membership has swelled from about 6,000 to 30,000 since the presidential election, and now has about 300 chapters throughout the country. Eighty percent of its 24,000 new members are under 35. The organisation is 90% white and 75% male. The influx of new members has given the group a somewhat different complexion from the pale pink, Democrat-loyal outfit founded in 1982 by America’s then leading social democrat, Michael Harrington, from a merger between his own followers and rightward-moving remnants of the 1960s new left. Organisationally diffuse and politically amorphous though today’s DSA certainly is, its youthful new members are showing distinct signs of leftward momentum. The 1,000 delegates who assembled for its Chicago convention this past August re-elected several of the Harringtonite old guard to the national political committee from among the various slates on offer, but they also voted to end the group’s affiliation to the Second International - which Harrington had worked hard to achieve. And in a repudiation of DSA’s founding principle of support for Israel, the convention decided to back the boycott, divestment and sanctions movement. There was reported to be some sentiment among delegates for breaking entirely with the Democrats. A demand was raised immediately after the convention for the expulsion of Danny Fetonte, who had not apprised the delegates who had just elected him to the national executive of the fact that he had earlier worked as a publicist for a police union in Texas. Although the executive failed to expel Fetonte, he resigned shortly after the scandal broke. Older members complained that Harrington would not have recognised the current organisation; younger ones - some of whom style themselves revolutionaries - said, the less recognisable, the better. The organisation now stands somewhere halfway between its old social democratic self and the kind of leftwing big tent that Students for a Democratic Society (SDS) became in the 1960s. And like SDS, it is starting to become a magnet for other far-left groups that would not have touched it previously with a 10-foot pole, but who now have hopes of acquiring new recruits for themselves and/or influencing the direction of DSA as a whole. It is doubtful that a standing rule excluding members of outside democratic-centralist organisations will keep these entryists at bay. The closest thing to a flagship publication of the DSA left is Jacobin - far and away the hottest new item on what exists of an American radical literary scene. Since its appearance as an online journal in 2010, and its 2011 debut as a printed quarterly magazine, it has acquired a circulation of 15,000, and claims over 700,000 unique monthly online hits. Although not officially a DSA publication, its founder and editor, Bhaskar Sunkara, is a vice-chairman of the group; and its managing editor, Seth Ackerman, is also a member. Its stable of writers and editors seem to be part of a DSA-ish, postgraduate student milieu. They see themselves as representing the thinking of a crop of younger Marxists, not defined by the questions that divided the left during the cold war. Jacobin is Sunkara’s brainchild. In the short space of eight years, he has created a journal of high literary quality and striking graphic design. Its print and online editions regularly feature articles from amongst the brightest stars in the Anglophone left academic and journalistic firmament, and over 50 reading groups meet to discuss its contents. The editors have recently launched an allied analytical journal called Catalyst.This literary success has vaulted Sunkara into something like media celebrity status. He has become the subject of numerous interviews and a profile, as well as an op-ed piece, in The New York Times,the country’s newspaper of record; he is a sometime guest on at least one television talk show. All of the above is a remarkable achievement for a man of Sunkara’s 28 years. Remarks like the above give rise to further questions. What are the precise coordinates of this middle ground in terms of historical affinities, current political choices and longer-term prospects? These questions could admit of no easy answers during the first few years of Jacobin’s existence. More recently, however, the outlines of a political profile are beginning to emerge amid the quarterly’s rich variety of articles and topics, and the tendency of its editors and leading writers to wax both revolutionary and social democratic. In its more leftwing mode, the magazinehas gone some distance to divest itself of the most repellent features of social democracy. Absent from its pages is the reflexive anti-communism with which the Second International assured western ruling classes of its loyalty from November 1917 through the end of the cold war. The lead article by Sunkara in last year’s Russian Revolution centenary issue is an accurate historical summary, which recognises the Bolshevik Party as a uniquely democratic formation, and Lenin and Trotsky as the passionate working class revolutionaries that they were. Sunkara specifically repudiates the standard bourgeois and social democratic portrayals of the Bolsheviks as conspiratorial, power-hungry demons. A cursory glance at Jacobin online will also reveal everything from a laudatory profile of Shapurji Saklatvala, Britain’s first communist member of parliament, to a recycled 1984 piece by Ralph Miliband and Marcel Liebman on the pitfalls of anti-communism. Second, Jacobin rejects the old Harringtonian notion that the Democratic Party can be realigned into a social democratic formation through a politics of internal pressure. It proclaims its ultimate goal to be the formation of a mass-based labour party independent of both Republicans and Democrats. Thirdly, Jacobin has followed DSA in disavowing any affinity with the so-called socialist parties of the Second International, which have presided over the imposition of neoliberal austerity. Since the early 1970s - the height of western social democracy - corporate elites have abandoned the post-war ‘class compromise’ … What capitalists grudgingly accepted during an exceptional period of post-war growth and rising profits, they would no longer. Yet, in addition to these general aversions and ambitions, one is inclined to enquire further concerning specific political strategies. Two recent articles provide the outlines of the thinking of Jacobin’s editors. An op-ed piece by Sunkara entitled ‘Socialism’s future may be its past’ in The New York Times this past summer speaks of three destinations for the future: “Singapore Station”, by which Sunkara means a globalist, neoliberal capitalism, with austerity and widened class division, presided over by an equal-opportunity, internationally-minded capitalist elite, anti-democratic, but open to anyone regardless of creed, colour or nationality. A second is dubbed “Budapest Station” - the return to a chauvinist, racist, go-it-alone, national capitalism now being offered by the likes of Hungarian prime minister Viktor Orbán and Donald Trump. The third - which Sunkara advocates - is “Finland Station”, the writer’s designation for pre-World War I social democracy, untarnished by either the betrayals that commenced in 1914 or the Bolsheviks’ post-1917 authoritarian drift, culminating in the gulag. Some broad outlines should already be clear: worker-owned cooperatives still competing in a regulated market; government services coordinated with the aid of citizen planning; and the provision of the basics necessary to live a good life (education, housing and healthcare) guaranteed as social rights. a transition … that does not require a ‘year zero’ break with the present [ie, revolution - JC]. This time, people get to vote. Well, debate, deliberate and then vote - and have faith that people can organise together to chart new destinations for humanity. The above themes are further elaborated in ‘Our road to power’ in the Jacobin for autumn 2017. The article appears under the name of the New York University sociology professor, Vivek Chibber, but its format as a poster-like insert - combined with the fact that Chibber is the editor of Catalyst, published by Jacobin - would suggest that it is intended as something resembling a platform statement. Today, the state has infinitely greater legitimacy with the population than European states did a century ago. Further, its coercive power, its power of surveillance, and the ruling class’s internal cohesiveness give the social order a stability that is orders of magnitude greater than it had in 1917. The market will be constrained, so that it isn’t the arbiter of people’s basic well-being. § Economic decision-makers will be democratically accountable. § Wealth inequalities will not be allowed to translate into political inequalities. So here we have it: parliamentary gradualism, leading to a market socialism, combined with strong welfare-state protections. What is so striking here is not the assertions of strategy and goals by these two writers, but the complete absence of any sustained supporting argumentation. 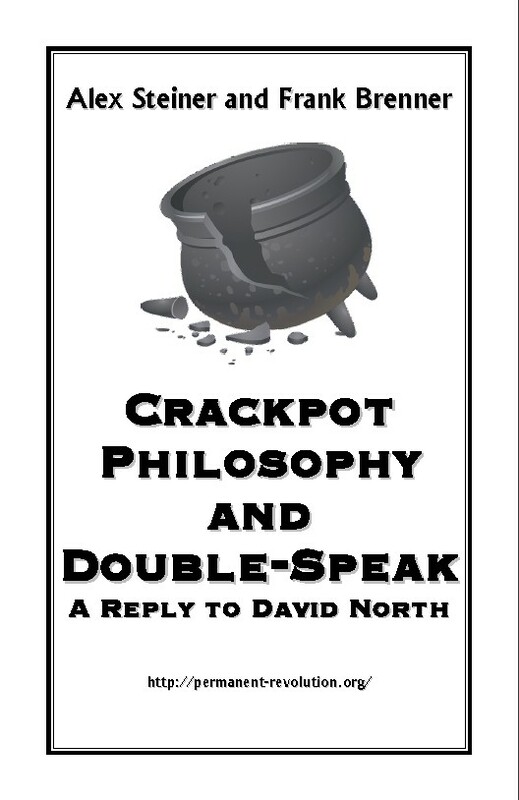 Sunkara and Chibber may, for instance, have tried to explain why the undoubtedly greater stability of post-war capitalism has made it any more amenable than before to legalistic attempts at deep structural reform. Does not the fate of such endeavours - from Allende’s Chile in the 70s, to Mitterrand’s France in the 1980s (cited elsewhere by the authors themselves) - point to the conclusion that the ruling classes, faced with what they consider unacceptable legislative challenges to their wealth and prerogatives, will respond with economic sabotage, and ultimately with deadly force? They may also have asked themselves why reformist strategies have suddenly become more viable in a period when the bourgeoisie is on the offensive against the remaining pillars of the welfare state, and, at least in the US, is so puffed up with arrogance as to consider attempts to defend, let alone extend, these gains as tantamount to communism. It seems to elude them that the post-war class compromise, while partly due to popular struggles and an economic boom that made it affordable for the capitalist class, was also part of a quid pro quo.Social democratic parties and unions were given ‘a seat at the table’, partly in exchange for their loyalty and cooperation in combating the ‘Soviet threat’. 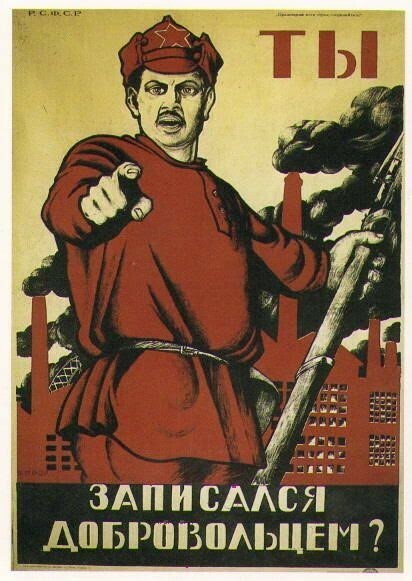 One does not have to be an apologist for Stalinism to understand that the Soviet Union and its allies were non-capitalist, and hence became the object of a global anti-communist crusade, in the service of which the western ruling classes were willing to make broad concessions; after the collapse of the Soviet Union, they became more determined to take them back. The rejection of the idea of a planned economy, moreover, seems premised entirely on the equation of planning with the failed bureaucratic Soviet model. Are not other, more democratic forms of planning possible, such as, for instance, planning under workers’ control, in which a national plan for the ‘commanding heights’ of the economy would be executed by workers invested with broad powers of implementation at the workplace, including the right to elect and dismiss their managers and supervisors? Can the market be used in such a system to register consumer preferences without determining the fate of entire enterprises and their employees? Chibber argues that the only alternative to complete top-down planning is worker cooperatives, whose production is regulated, and whose viability is determined, by nothing other than market vicissitudes, with continued anarchy of production as a result. Chibber thinks it possible to prevent the economic inequalities - which he seems to acknowledge will occur when less profitable firms succumb to the stronger - from becoming political inequalities. But how, exactly? Through laws and government regulations, which have never succeeded before in preventing the economically powerful from becoming politically dominant. The failure of Sunkara and Chibber to tackle important questions like the ones above indicates that the combination of gradualism and market socialism they espouse represents more of a political sensibility - the crystallisation of certain contemporary left political moods - than a considered theoretical weighing of objective possibilities and constraints. This sensibility is compounded of the naivety of newly politicised youth and the pessimism of an older generation, borne of past failures and defeats. It is only to be expected that young people awakened to politics by the Sanders campaign will bring with them to DSA a slightly more radical version of the electoral politics espoused by the candidate they supported, according to which it is possible to restore Roosevelt’s ‘new deal’, and that the road to such a restoration - and perhaps something even more radical called socialism - lies along the path of electing candidates who denounce corporate power and promise to enact progressive legislation. Nor is it surprising that conscious Marxists - perhaps chastened by the failures of revolution in the last century, as well as the bankruptcy of past efforts to organise various ‘revolutionary vanguards’ in advanced countries - should seek to accommodate the spontaneous reformist consciousness of the politically aroused young, as well as invent reformist scenarios of their own. The steady drumbeat of bourgeois propaganda since the collapse of the USSR, to the effect that the market is the only conceivable effective regulator of economic activity, has also taken its toll. Sunkara and Chibber appear to have abandoned the fundamental Marxist idea that the forces of production can be brought under conscious control. One day, in a dream scenario where you have a socialist movement pushing for full social ownership, say, and it’s encountering active opposition from the bourgeoisie, then you would have a clash. But that debate is very much in the future. I appreciate the situation that Tsipras and the Syriza leadership found themselves in and that they accepted the latest austerity package begrudgingly and in generally good faith. They did not sell it as a victory, which is important. I reject the use of ‘betrayal’ to describe the actions of the leadership. This incidental remark is perhaps most troubling of all. Sunkara here does further homage to Karl Kautsky, who rejected the use of ‘betrayal’ for the Reichstag vote of the German Social Democrats in 1914. We can only add that if voting credits for a war one had previously pledged to oppose with a general strike, or implementing crushing austerity measures that one was elected to oppose, are not instances of betrayal, the word has no meaning. In the early crisis of German social democracy described at the beginning of this article, the difference between revolutionary and reformist practice was starkly revealed. Rosa Luxemburg by no means denied the importance of reform struggles, but regarded them as a means to expand and deepen the mobilisation of the working class in preparation for the conquest of power. Kautsky, on the other hand, did not disparage mass mobilisations as such, but viewed them as an auxiliary to the party’s main electoral and legislative efforts, to be curtailed when they threatened to upset the parliamentary applecart. The question of reform v revolution is not immediately posed by anything taking place in the US today; one can thus support Democratic candidates and participate in mass demonstrations without contradiction. It acquires more than theoretical importance to the extent that what the left does has consequences. And we can see the consequences of reformism in at least three instances in the 20th century: Allende’s Unidad Popular, Mitterrand’s Socialists, and Tsipras’s Syriza. In each of these cases the working class and its allies were led to the brink of a class confrontation by parties that had adopted a purely electoral strategy, and were unable and unwilling to mount the organised mass initiatives necessary to counter the economic sabotage and/or armed violence of the bourgeoisie. Allende, to his credit, died fighting back, gun in hand. 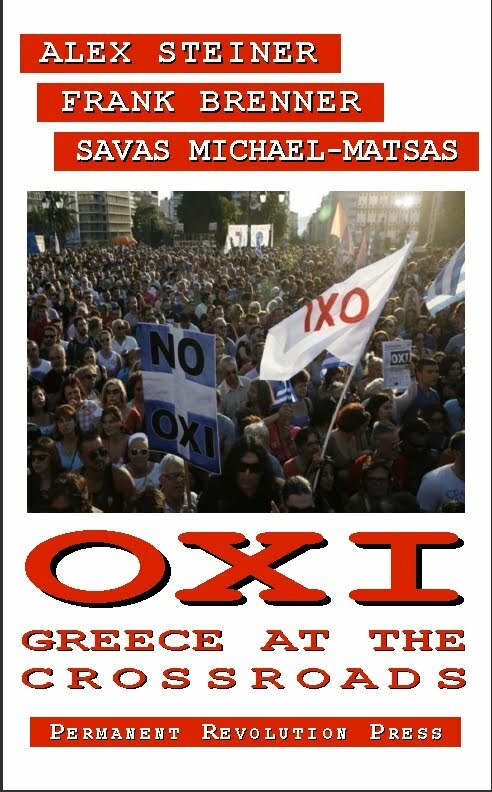 The other two - Mitterrand and Tsipras - turned their coats to become the agents of capitalist austerity. Jacobin editors are fond of Michael Harrington’s metaphor that pictures socialists walking a tightrope between ultimate goals and present possibilities. Less charitably, they can be said to be sitting on the fence between reformism and revolutionary Marxism. They wish to appeal to those on their left by disavowing social democracy’s more sordid historical chapters of class treason and current neoliberal complicities, while at the same time taking care not to give offence to the prevalent electoral-reformist consciousness of newly awakening political youth and old-school social democrats. It is understandable that Jacobin wishes to avoid the fate of the various ‘revolutionary’ sects that are programmatically pure and numerically insignificant. To the extent that DSA is becoming more of a broad, leftwing umbrella than a decidedly social democratic organisation, it would be folly for revolutionaries to approach its new members with nothing more than an injunction to quit DSA and join their minuscule grouplets. One should, however, engage them with a view to bringing about a political differentiation from the hardened pro-Democratic Party reformists who still constitute an influential internal presence and sit on its national and local executives. To this end, one would seek to conduct political education in revolutionary history, and push for a number of programmatic proposals, such as no support for mainstream Democrats or the ‘progressive’ Democratic candidates who promise to endorse mainstream ones if they lose in primary contests. Unfortunately, Jacobin is doing little along such lines. In terms of practical orientation, it simply reflects the amorphousness of the current DSA, rather than an attempt to give it a clearer political shape. Sunkara recommends that the left keep doing what most of it already does: support both independent candidates and ‘progressive’ Democrats, as circumstances permit, and continue to vote for mainstream Democrats, wherever the Republicans have a chance to win, with the hope that the opportunity for an independent, mass workers’ party will present itself due to altered circumstances some time in the future. In terms of longer-term strategies and goals, Jacobin,despite the more radical pronouncements and authors to be found in its pages, promotes a classical social democratic orientation that rejects any notion of a ‘rupture’ in favour of an electoralist gradualism aimed at penetrating and restructuring the existing state. The above prescriptions do little to prepare for the tremors that are already beginning to unsettle an American-dominated world system in decline - one which may throw the tightrope-walkers off balance, and confront them with choices like the ones Luxemburg and Kautsky had to make over a century ago, much sooner than they think. This is a condensed version of events described in Carl Schorske, German social democracy, 1905-1917 chapter 7, London 1955. Roar magazine, January 4 2016.